Step Into The Big Leagues: The 11 to 15-year-old riders of the junior class are no longer beginners. These are future champions fighting for victory, no matter if it is the for a National Championship or a local qualifier. In this scene, the new and improved KTM 85 SX is considered a winner's bike. With the most powerful engine in the field and a super lightweight, stable chassis, it does not need to shy away from a full size bike. 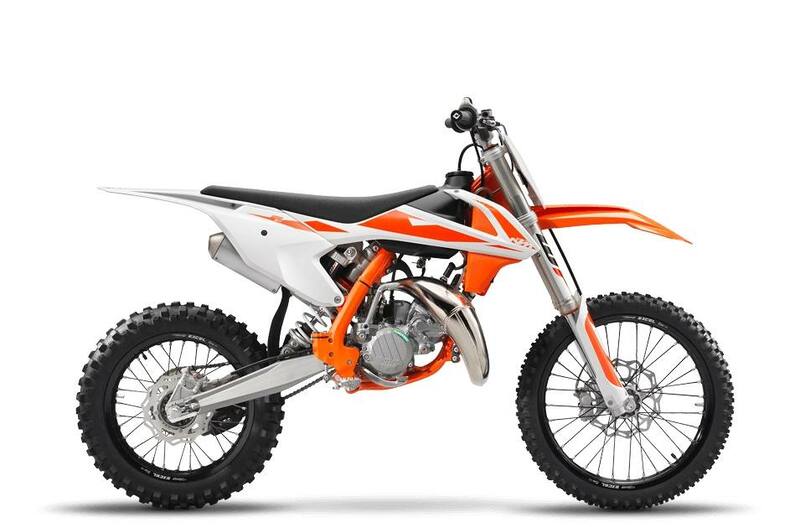 It took the highest levels of ingenuity to fit the race-winning formula of KTM's bigger 2-strokes into a compact 85 cc engine. A special manufacturing process is used and provides impressive weight savings without sacrificing strength or durability. The super compact power plant is fitted with a 6-speed gear box and delivers class-leading power and rideability throughout the entire rev range. The power valve plays a key role in tailoring power delivery to suit track conditions and rider ability, making sure the only rider surprised by the incredible performance is the competition. Wheels: Black Excel rims and CNC-machined hubs ensure the strongest base of forward momentum on the KTM 85 SX. Maxxis tires have been fitted to deliver exceptional straight-line stability and excellent traction on a wide variety of terrain, ensuring the power ends up where it is intended - on the ground. Brakes: The Formula braking system with radial calipers - four pistons in front, two in the rear - with lightweight wave brake discs - front 240mm diameter, rear 210mm - are the ultimate in terms of controlled action and braking performance. 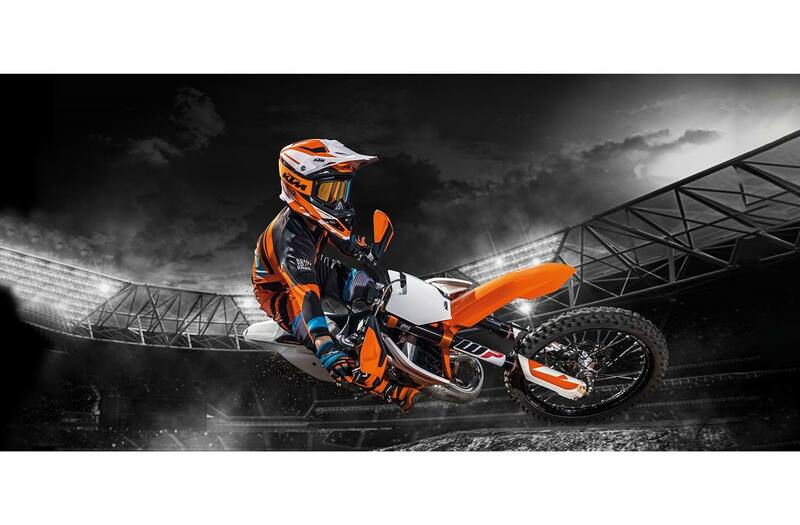 Handlebar: The KTM 85 SX has a super strong, tapered handlebar made of high-quality aluminum alloy with a bend that's perfect for motocross requirements. They get a new throttle assembly that allows for easy free play adjustment. ODI lock-on grips on the left side make grip changes easy and do not require any wire or glue to be secured. Chain: 1/2 x 5/16 in.